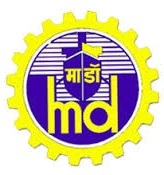 Eligible Candidates can Download Application Through Official website.Latest MDL Careers, Placement, Openings, Off Campus Vacancies, Interview dates are updated regularly. Eligible Candidates can follow Below Recruitment details. To get more Freshers Government Opening,Placement Paper and Graduate Vacancies Visit www.freshers-job.com. Mazagon Dock Limited is India's prime shipyard. It manufactures warships and submarines for the Indian Navy and offshore platforms and associated support vessels for offshore oil drilling. MDL is now going to recruit some qualified candidate through examination. MDL hire both freshers and experienced candidates in every year. All job seekers who are interested to get a job in Central Government apply This MDL Job online. The Candidates from 2017,2016,2015 Batch who have completed 10th, 10+2, Bachelor Degree, Post Graduate Degree from any recognized Institute are Eligible this Recruitment 2017-18.Latest MDL Opening 2017 for Apprentices for Manager, Executive Trainee position.For a bright future and best salary in Central Government jobs apply this opening via www.freshers-job.com.More details about MDL Recruitment 2017 is given bellow. This is an excellent opportunity for those who are very much interested to join a career with Government Job with good working environment and best salary compensation. Relevant Post Qualification experience of minimum 14 years for Chief Manager / minimum 10 years for Manager in any industry / PR Agency. Experience in handling protocol functions and articulation skills in handling various situations and events are a must. Experience in Journalism/Print media would be preferred with good communication skills. Knowledge in multimedia with experience in PR field is desirable. 02 Years MBA / 02 years Post Graduate Degree/ 02 years Post Graduate Diploma having First Class or 60% in HR/ HRD/ Personnel Management. As per the MDL recruitment notification 2017-18, candidates should have minimum education qualification of 12th, Bachelor Degree, Post Graduate Degree or equivalent from a recognized Institute are Eligible to apply MDL Recruitment 2017. Candidate should complete his / her 12th, Bachelor Degree, Post Graduate Degree in relevant subjects from a recognized University / Institute. Minimum 18 Years and Maximum 46 Years as on 01.01.2017. Accordingly the application must have been born not earlier than 01.01.1997 and not later than 02.01.1978, age relaxation details. Age relaxation is applicable as per Government of India rules applicable for different categories (SC/ST/OBC/PwD) visit MDL official Notification 2017 for more reference. Check fee details in official notification of MDL for Manager, Executive Trainee academic qualification, application fee, selection procedure, exam pattern are present in official Notice. Selected and Eligible Candidates for this MDL Notification posts will get a Rs Stipend up to @ Rs. 12,600-58,000/- month to month pay scale as per Government norms with Rs. good amount of grand pay.